Resurfacing your bathtub is a great way to restore its beauty without having to replace the tub entirely and going through the painful process of tearing down and building back up your bathroom. Bathtub refinishing in Phoenix will easily take care of those cracks and chips in the tub surface, will hide those stains you just can’t seem to get out no matter how hard you scrub, and will permanently change the color (getting rid of that hideous blue or pink that was so popular once upon a time). Since bathtub and shower refinishing applies a coating and does not provide a permanent surface, it is important that you learn the proper way to clean the tub so that you do not damage the new surface. 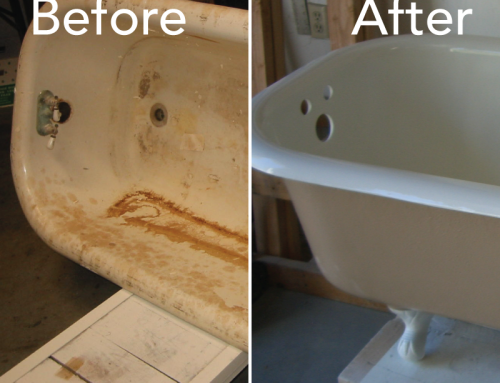 With the right maintenance, your refinished tub can last 20 years or more – the same as a new tub. Abrasive cleansers or scrubbing pads will scratch your bathtub’s new surface, and they could void your warranty, as well. Avoid abrasive cleaners like Comet or Soft Scrub, and avoid harsh chemicals like bleach or ammonia. These cleansers can scratch or strip the paint from the surface, or they can dull the surface. 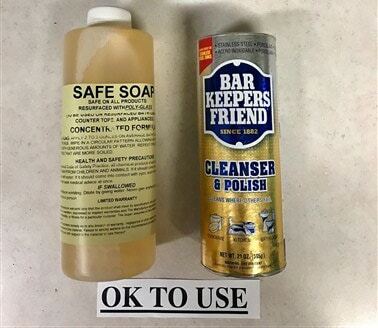 Instead, use only mild cleansers such as liquid soaps (dish soap is fine) or Bar Keeper’s Friend. Use only soft cloths for the cleaning. A car wash mitt is the perfect choice since it is soft and can also get into the grooves in your tub without scratching it. To avoid getting soap buildup or stains that require scrubbing (which you can’t do), you should be cleaning your bathtub after each use. All you really need to do is rinse it out and wipe it down with a clean cloth. 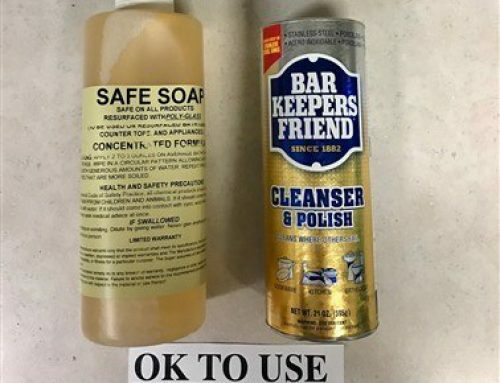 You can use the liquid soap on it about once a week to get anything that is left behind. If you’re really ambitious, you can use a squeegee to wipe the water out of the tub after each use also to minimize the risk of mold or mildew buildup. Metal cans like for shaving cream or face wash can cause rust in your tub. You put the can down and the water pools around it, causing rust to form on the can and then run onto the tub’s surface. Once you have rust, you won’t be able to clean it away without damaging the tub’s finish. Protect your tub by keeping metal cans and other objects out of the tub. Either keep them in a nearby cabinet or place them in a plastic or wooden caddy or tray that you keep in the tub. You may like a bath mat in the tub to prevent slipping, especially if you have children. If you do use one of these mats, make sure it does not have suction cups on it. The suction can pull the finish off the tub when the mat is removed. In addition, the suction can keep the mat close to the tub, which can trap water and cause mold and mildew to form. 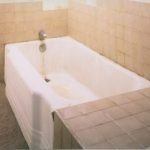 Once mold or mildew is present, it will be very hard to clean your tub without damaging it. Do not hang your bath mat or towels over the side of the tub to dry either. The water can promote the formation of mold. Pets can scratch your tub’s finish and leave behind nasty hair and other debris that can build up on the surface. If you are going to bathe your pets at home, you should either get a special pet bath for them or you should wash them outside with the hose. Bathing them inside will only make a mess and potentially damage your tub. 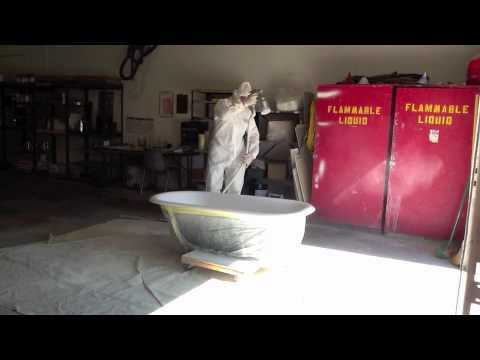 If you take the proper precautions with your newly refinished bathtub, it will last as long as a new tub will. 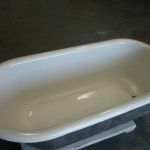 A little preventative maintenance will save you a lot of time and money later, and you’ll be happy to enjoy the beauty of your new tub for a lot longer. 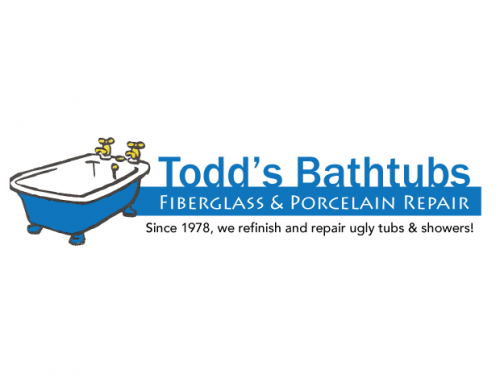 If you are in need of bathtub refinishing in Arizona, Todd’s Bathtubs can help. 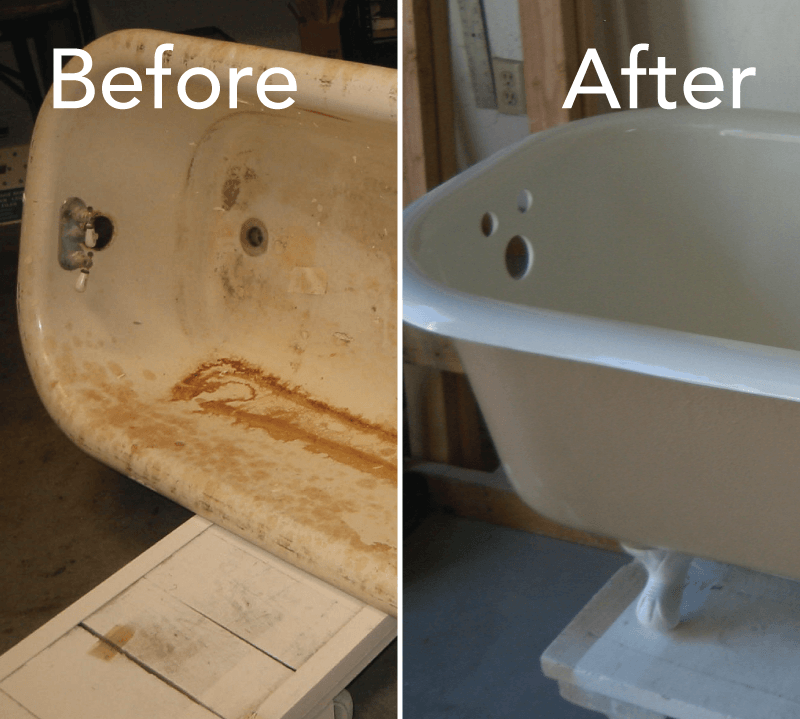 We perform bathtub repair and refinishing in Arizona, helping homeowners to get a tub that looks like new without having to actually buy a new tub. 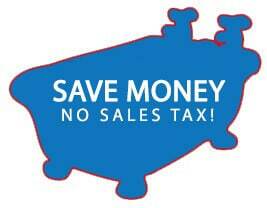 We save you the hassle and expense of tearing out the old tub and putting in a new one, and you have less down time. 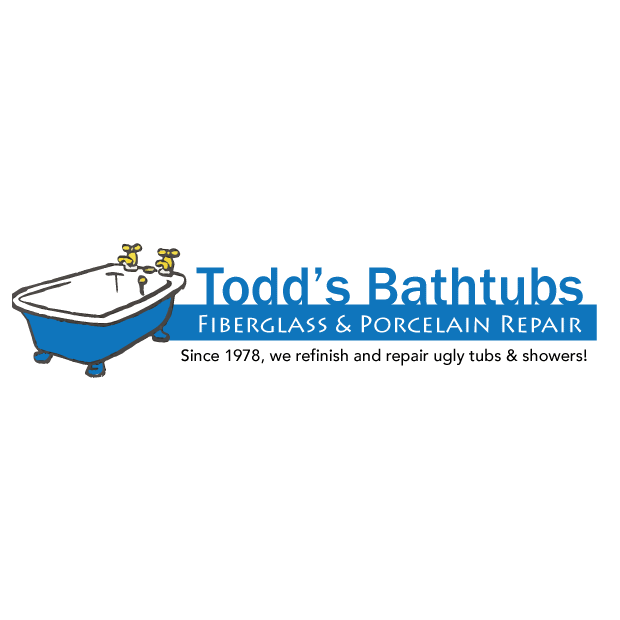 Call us today to learn more about bathtub and shower refinishing or to get an estimate for your bathroom.